Does what other people think, feel or say about you count? 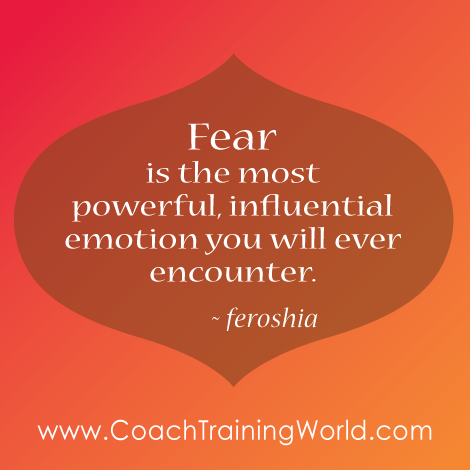 In previous posts we saw how easily and universally fear affects us and our clients. Yes, it serves a purpose by offering protection from potential dangers. But our days of fleeing prehistoric lions and global pandemics are over. Nevertheless, in today’s society, our innate sense of fear is no less diminished. In fact, the more “comfortable” we become, placated by the familiar, we freely give fear license to overstep its bounds, limiting us from achieving the lives we deserve. Fear is the byproduct of a belief that someone or something is dangerous, likely to cause pain, or threaten our safety, situation or those we care about. It is an innate response intended to ensure our survival and dates to the earliest days of our species when were under constant threat of mortal danger by larger, more powerful predators. Modern life brings different challenges, yet no less threatening. Think about the last time you were tempted to take that shortcut down a dark alley or wooded trail in the middle of the night. Your senses were on high alert (if you were even brave enough to go). With your heart rate and breathing elevated, you instantly became attuned to every sound. Or how about the last time you were driving in unfamiliar territory, whether it was a foreign city or just part of your hometown you’ve never been to? Your blood pressure goes up and you turn the radio down, paying closer attention to the people you pass on the street once you park the car. Yet while these are common examples, they represent only a fraction of fear in modern life. If you stop to think about it, when do most of your fears show up? From my experience, our interactions with others are the number one territory in which people experience fear most frequently and intensely. Especially when it comes to most intimate relationships. Perhaps this sounds familiar to you? This is where fear, a natural defensive response, becomes twisted. It’s also what we’re referring to with the acronym F.E.A.R. (False Evidence Appearing Real). For a while, we successfully keep fear at bay. We convince ourselves that tomorrow is a new day and things will get better. But eventually we wear down. 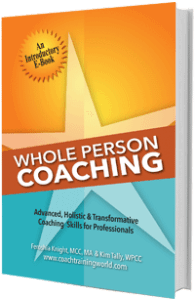 In periods of emotional upheaval, like stress at work, financial difficulties, or problems with family and friends, our fear stories return with a vengeance. We react and challenge our loved ones, questioning their devotion. This challenge naturally provokes indignant confrontation (as it turns out, few relish having their loyalty questioned!). Without straying too far from my original point, I have to say: I’ve struggled with people who lack empathy – those who sneer at others for habits they deem unhealthy. When you stop to realize that many addictions stem from a response to fear – whether it happens to be drugs, alcohol, food or even social media – how can you be anything but compassionate? How can you not want to hug someone like that and help them any and every way you can? But criticizing others is another response to fear too, isn’t it? Because fear isn’t limited only to romantic relationships. Friendships and family connections can leave us just as exposed. Our fears run the gamut from acceptance and belonging to safety and financial security. We worry about how our choices impact others. We worry about what others think and feel about us. We worry about how others perceive our opinions and beliefs then stop to fret about alienating some if we support a popular cause or issue… and others if we don’t. In these moments, our personal voice of fear simply sits back and watches the show. Because these loved ones and confidants (though most genuinely love us and would never see us hurt) have voices of fear all their own. They fear we may eclipse or grow beyond them. They fear our potential happiness while they remain adrift. And more often than not, they simply fear the unknown. It’s human to care what other people think, feel and believe about us. In fact, it’s part of our neurobiology. Let’s step back into prehistoric times once more. Tribal living was the safest way to survive. For the most part, we are social animals. We run in packs: work, family, church and social circles. Inside these packs, we feel safer. Without these critical support systems, the effects of fear can be extremely detrimental to our physical and mental wellbeing. It can promote a range of ailments that further erode our capacity to reach our goals and live the lives we’re meant to. Who is your biggest champion? Who are the people that believe in you the most? Who do you support and champion?